little henry lee: All The Things! just some pretty things i've picked up recently. the little dishes were bought while op-shopping this weekend for $2 each and while i don't need to buy any more knick-knacks for the rest of my life, they were too pretty to leave behind. the cardigan came to me at a $5 vintage sale in a warehouse in melbourne when i was there a few weekends ago. the stars aligned for me and the sale just happened to be on the weekend i'd already booked my flights for, and while you'd better believe i walked away with more than just that cardigan, it's my favourite thing from the trip. the little hedgehog candles are from modcloth, which i picked up along with a few other things in their black friday sale. above are some (mostly) high end skincare and makeup products i've been using recently. i got the majority of them from the estee lauder corporate store which i've talked aboout before, so i can tell you right now almost everything was majorly discounted. i believe both estee lauder serums have been reformulated very recently and i was lucky enough to visit while they were selling the discontinued formula for about a third less than the retail price. 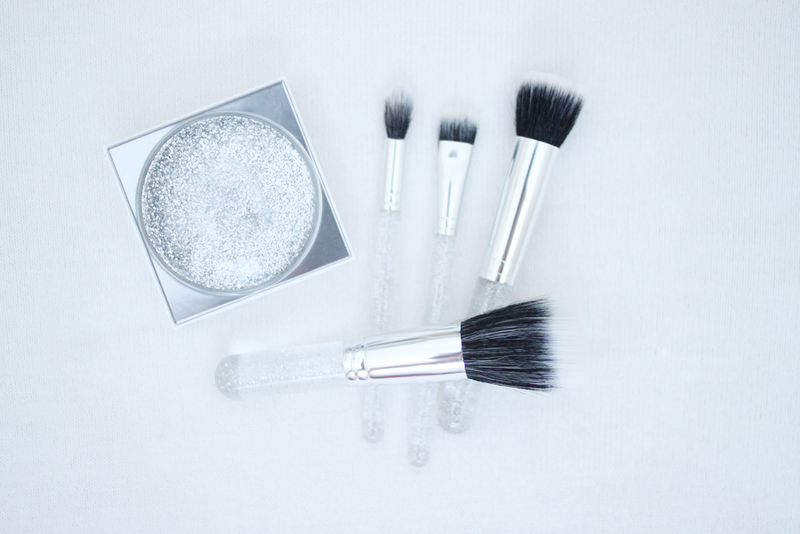 the mac brushes were also an amazing buy, i believe they're from an old limited edition collection (as is the palette) because the handle is smaller than full size, and obviously it's glittery too. given that the retail price of the full size brushes is about US$150 i got a pretty great deal, scoring the four of them with a makeup bag for $25. if you're looking for a cheaper alternative to the mac paint pot, the maybelline colour tattoo in barely branded is a really similar shade that looks a bit darker in the pot but actually applies a bit lighter. 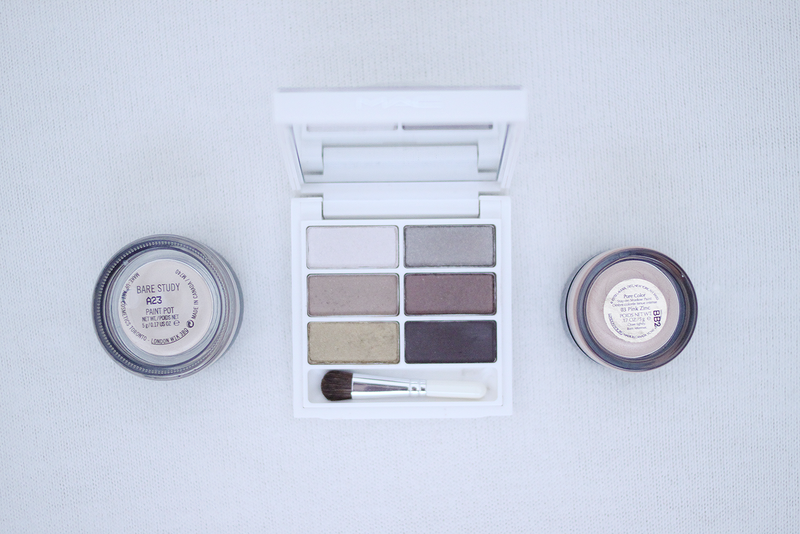 i've found the mac, maybelline and estee lauder cream shadows all have different textures. 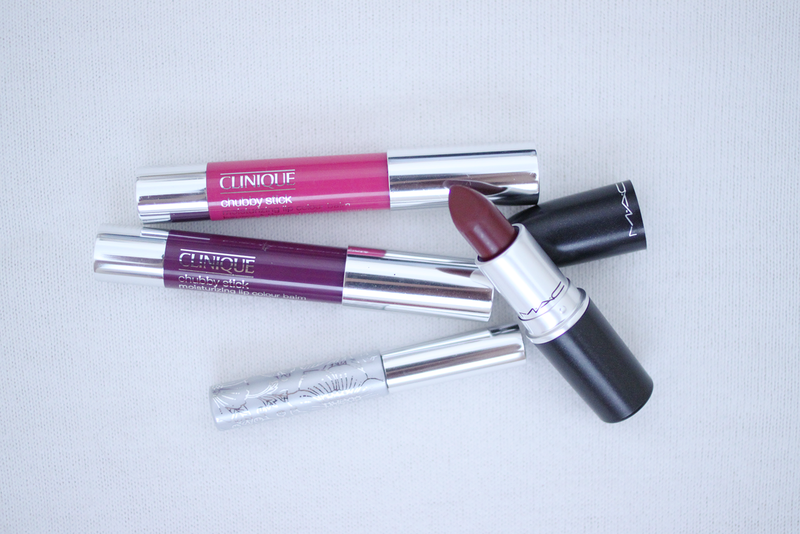 the mac offering is the thinnest of the three and it feels a bit watery in consistency; it also applies quite sheer but it's easy to build up. the maybelline colour tattoo is a thicker cream that is quite heavily pigmented, i've found it a little harder to blend but i still think it's a great alternative and i use both of them regularly. the estee lauder shadow paint has more of a mousse texture and it applies the smoothest of the bunch. i don't hear a lot about these in the blogging world but i really recommend them as they have quite a few nice neutral shades. 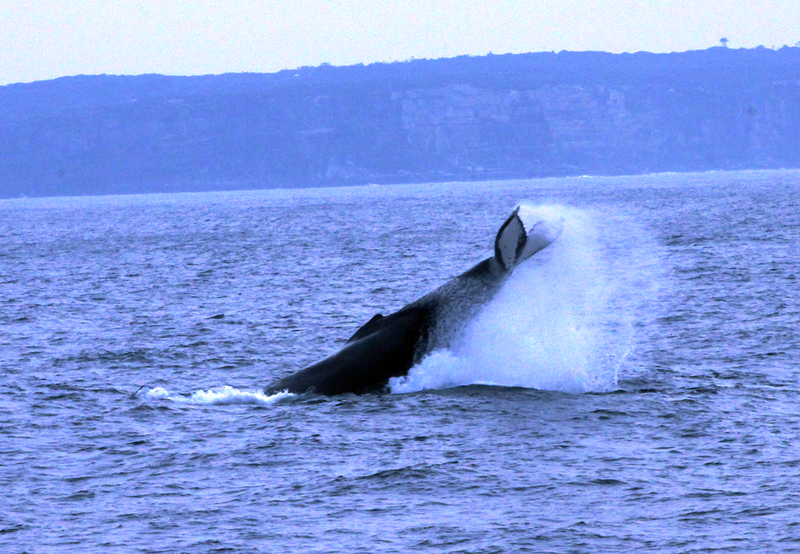 also a few photos i thought i'd throw in from when i went whale watching recently. i apologise that they're not the best shots but it's pretty difficult to take decent photos of whales when you're on a boat in the open sea that's rocking around all over the place with the waves. it was a really fun experience and we were so lucky to see two adult whales swimming with a calf on one side of the boat and then a little later on we saw another mother and calf breaching! my parents have been whale watching before and haven't seen anything so we were really lucky to be in the right place at the right time and to get to experience that. i also had to share the fact that i've been to four leonard cohen shows in the last few weeks. he's one of my all time favourite musicians and poets (he's actually tied with nick cave) and his music and the things he has created mean so, so much to me, i can't even really put it into words. i'd only seen him play once before in 2009 so for this tour i decided i was going to go to as many shows as was reasonable (by my standards, obviously). i was also incredibly fortunate in that the greater group of companies i work for includes the touring company presenting his australian tour. 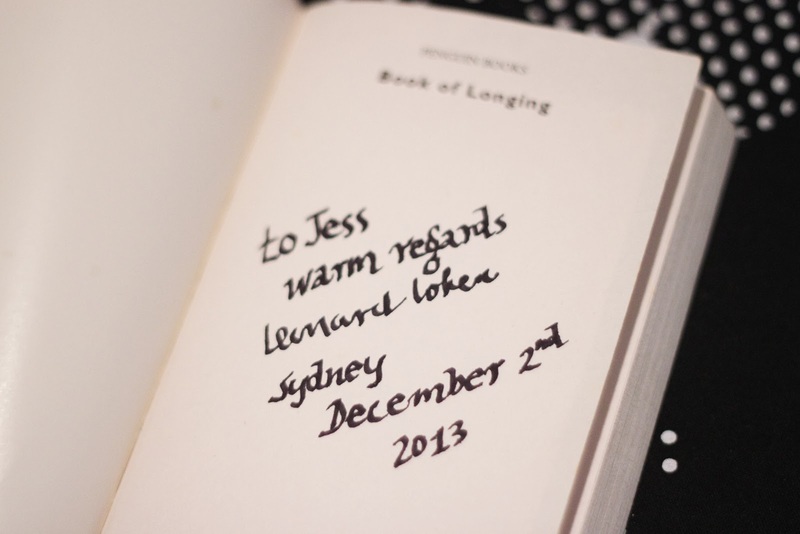 in fact, we all work in the same building so i was able to give them my copy of his book (called book of longing) to have him sign for me! my favourite of the four shows was the smallest one at the sydney opera house; every show i've seen there has had an incredible atmosphere, and on top of that i was in the second row so i could see absolutely everything that was happening on stage. the memories i have from that show especially, along with my signed book are things i will cherish every day for the rest of my life. 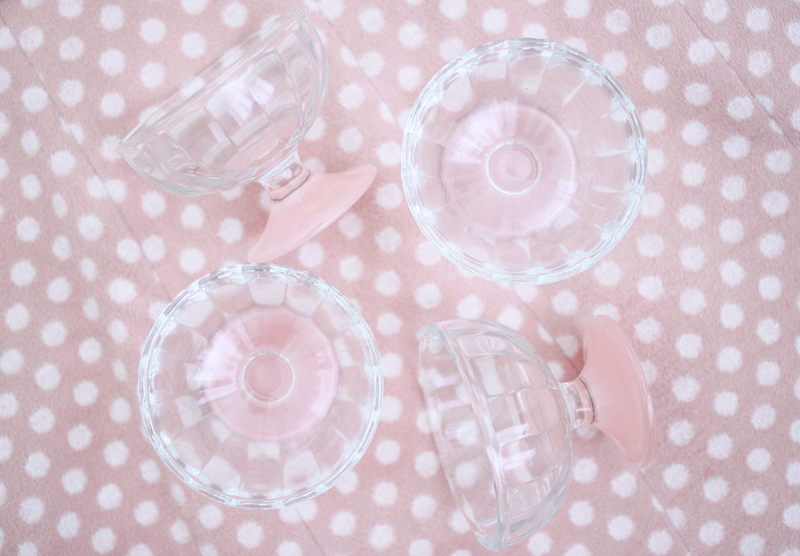 Those dishes are so cute, I can imagine serving ice cream in them topped with plenty of sprinkles! And oh gosh, the candles are adorable. 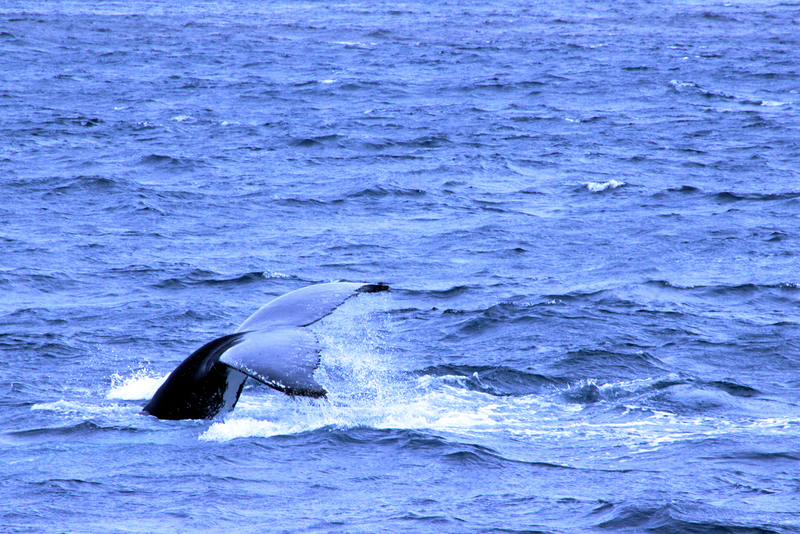 Whale watching must have been such an incredible experience, and of course your concert/signed book experience. What amazing moments to remember and cherish forever! Leonard Cohen is truly unique. wow, wales! and super cute hedgehog candles! i love leonard cohen and his books are great also (book of longing, beautiful losers, the favorite game). i only saw him play once and it was pretty amazing. so cool you got to see multiple shows and a sweet dedication, his handwriting is so beautiful! i love your beauty reviews, i'm completely lost when it comes to buying make up/skin care products. i actually had a little question for you - do you already need to start using anti wrinkle serums? i'm like almost 26 and this freaked me out a little. i'm planning to start wearing a sunscreen moisturizer daily regardless of season, but wrinkle care seems a little well...premature? he is just the most amazing person, isn't he! i love him so much! 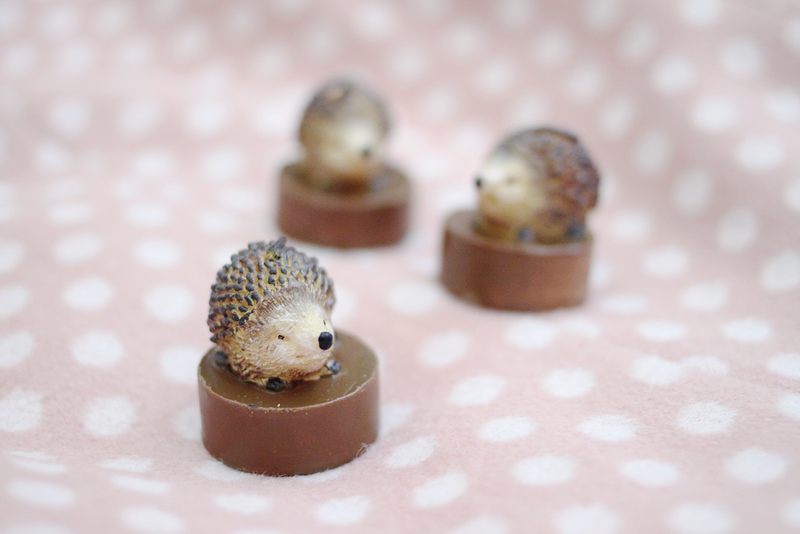 Those hedgehog candles are too cute to melt noooo! Ahah! i am super super lucky and i know it! they're just my two favourite people and it's been an amazing year for experiences with both of them. So jealous of that book! I really love Leonard Cohen as well and saw him for the second time on his most recent tour in Paris. He's a gem, that's for sure. You did not exaggerate when you said your life is quite busy right now!! I love all your little finds and I am so glad you were able to get your book signed. There is nothing better than meeting an artist you admire! Also your whale pictures are fantastic! I've never gone whale watching before, but I have seen dolphins playing in the water and it is just an incredible experience. It's so much better than seeing them at the aquarium! There is so very much to adore in this wonderful snapshot of what's been transpiring in your life lately. The wee hedgehog candles had me squealing in delights (I adore hedgies!!! ), then the both the majestic whales and incredible dedication from Mr. Cohen both took my breath away in entirely different ways. I'm so happy you've been experiencing such awesome things lately, sweet gal, and really hope the last days of the year continue on every bit a stellar note for you. NO WAY THAT CARDIGAN IS AHMAZINGGGG! So many beautiful things and moments! It all looks lovely and those dishes are to die for. Made me crave some ice cream, stat! And well, I am really jealous of the whale watching. I think they are such majestic creatures. Those are some amazing beauty purchases there! 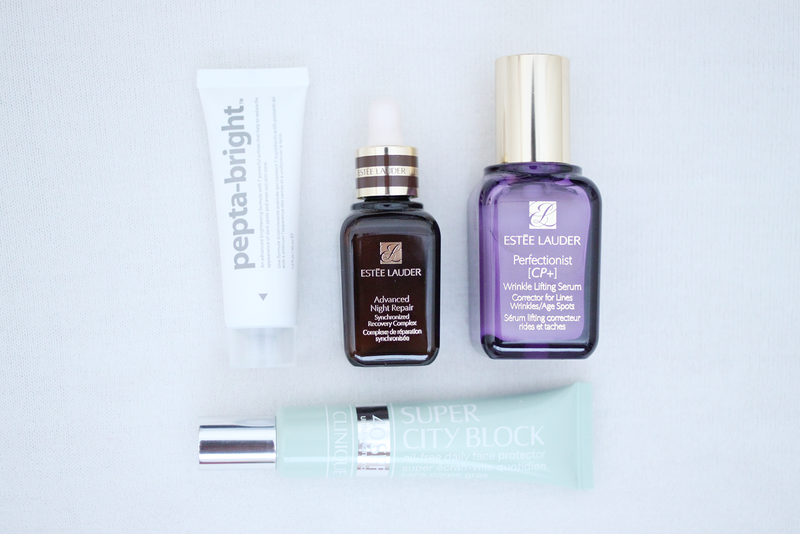 You'll absolutely adore Advanced Night Repair. It's one of those products that absolutely changed my life around - holy grail status for sure. I bought the small bottle the first time I bought it and ever since, I've been buying the big bottles because I can't get enough of it. I'm almost at the end of my old version, so it'll be interesting to compare it with the new one. 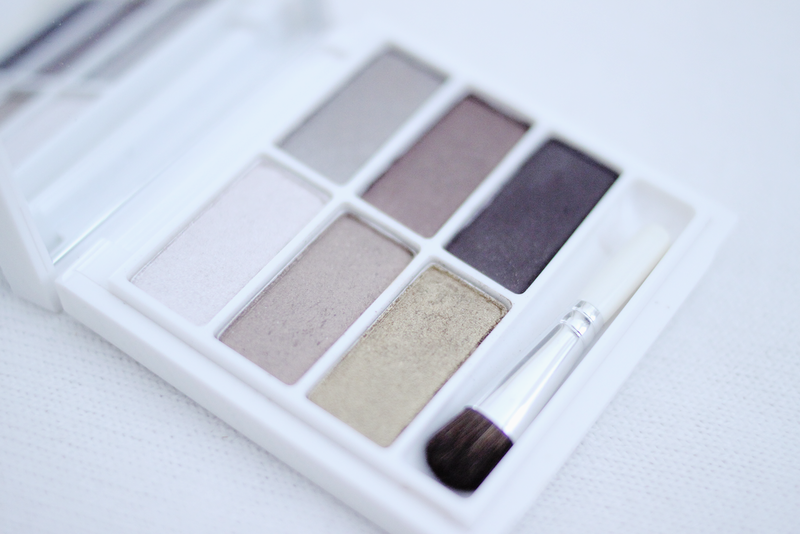 That MAC palette and those brushes are just stunning too. Let me know how the Bottom Lash mascara is too. I've been contemplating buying it for ages! Whale watching must've been such an incredible experience. It's one of those things I'd really love to do one day, but I just never think to do it either. I love your love for music! I absolutely adore music myself and it's one of the reasons I want to move over east. We don't get a lot of sideshows here in Perth, and I hate having to pay $150 for festivals just to see a couple of small bands! Plus, there's just generally a lot more going on and a lot more gigs. I hate when my bands only play Sydney and Melbourne! i really like the advanced night repair! it's so expensive but it's one of those products that i think is worth it, and you hear so many stories of people who work at estee lauder counters being able to tell when someone comes in to buy it that they've been using it their whole life because it make such a difference over 20, 30, 40 years of use. it's definitely something i want to keep up! Wooow, you purchased so many beautiful things Ö I want all of them :P The cardigan is certainly one of my favorites and only 5 in a vintage store! Thank you so much for your comment on my blog. It really meant a lot to me. It looks like you picked up some really wonderful things lately - and amazingly enough they all sort of have that soft winter feel (also could be the way you photographed them) so they fit together so nicely. Whale watching seems like so much fun but I get way too sea sick to be able to handle it. I think you were able to get some great shots despite the difficulties! And i have never heard of leonard cohen, but he sounds like someone i would definitely like. you seem like such a sweet girl and someone i would get along with in real life. All these photos are so pretty! First of all I love that sweater- adorable. Wow those photos of the whales is pretty amazing. Whales are so fascinating! 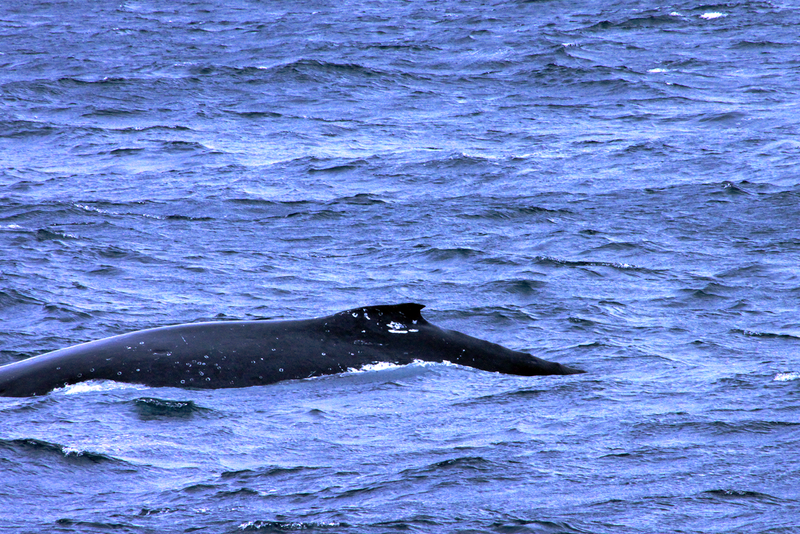 We have seen whales twice this season, completely unplanned and it was so beautiful, somehow magical. 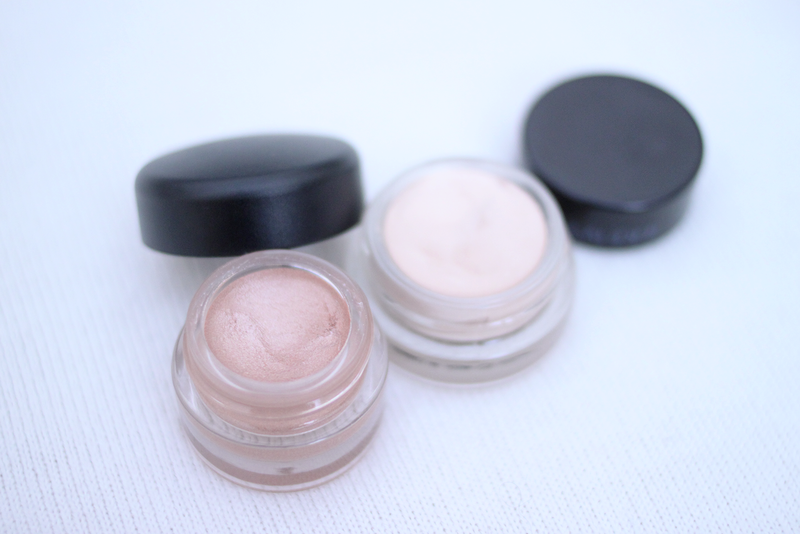 The Mac paint pots are so great, you reminded me to reintroduce them to my kit! Love your new little dishes! Such a cute color too! 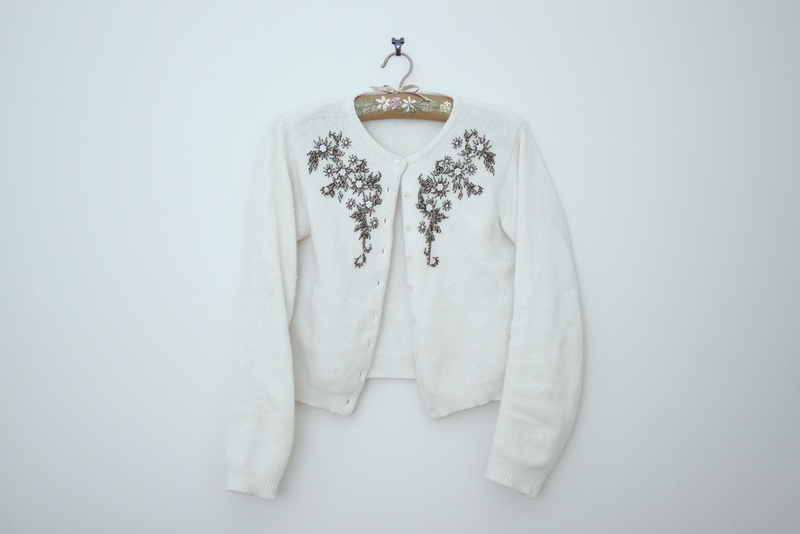 Oh my what a adorable cardigan! 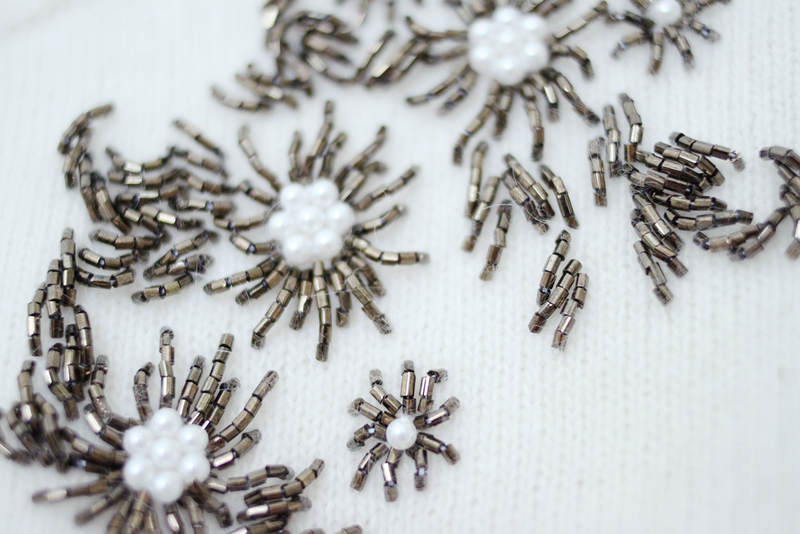 That beading detail looks simply gorgeous, what a lucky find! I can't help but to be envious of those cute itty bitty hedgehog candles (though it seems best not too ignite their cute little faces) Woah what a fabulous beauty haul! I am not familiar with the Estee Lauder corporate store, however I feel like making acquaintance with it might be costly! 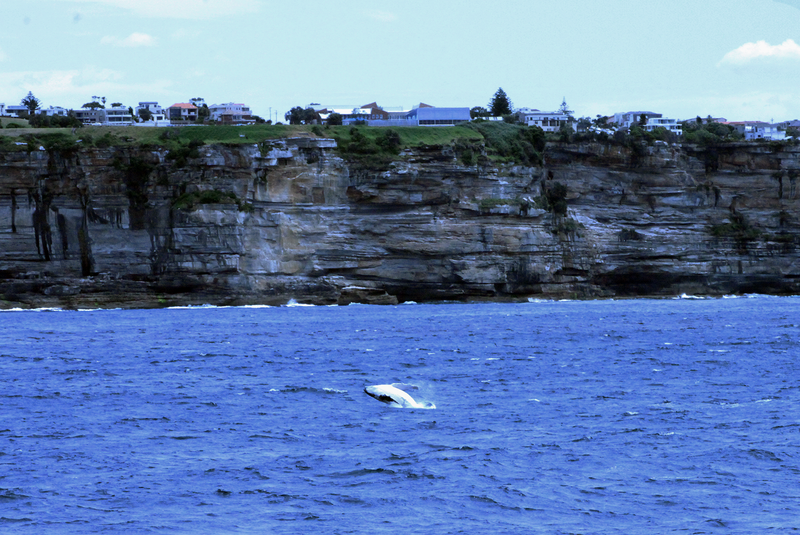 Whale watching looks marvellous! What a lovely experience! Oh so much nice things in one post! I like clothes, but make up too. I m crazy for it. great pieces! i love the little hedgehogs and the sweater! the pictures of the whales are beautiful. i love love love your knick-knack posts :-) i would have snapped those mac brushes up too! Wow i'd love to watch whales swim! have a merry xmas!! I cannot believe this cardigan was only $5! I need to go shopping with you-- you're such a great bargain finder! And of course your makeup is amazing. 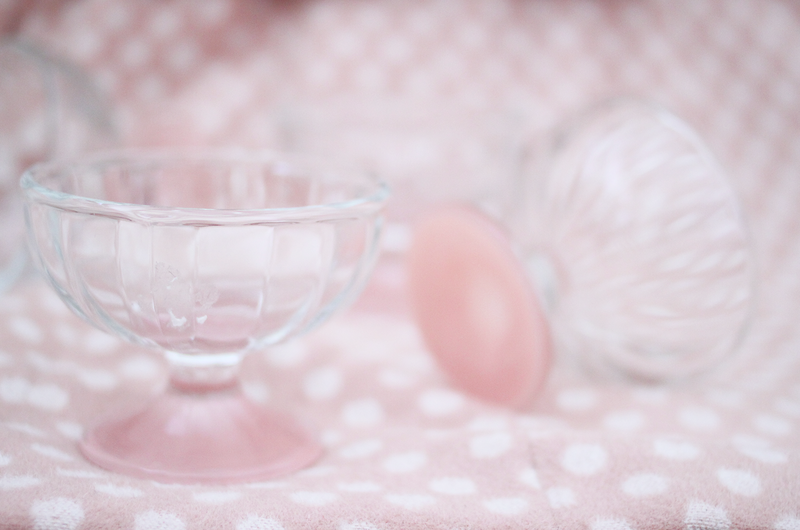 those little pink dishes are too precious! also great makeup purchases as usual, your collection is growing at the speed of light :) i'd be curious to see how you store it, from your bedroom posts, i can imagine you having a beautiful makeup space. ppps: is it nye in australia? if it is, i hope you're having a fantastic time!